MLB The Show 18 received a massive update today, and anyone who plays the game online should be thrilled. San Diego Studio released Patch 1.08 just in time for the beginning of May, hoping to improve online play quality and rejuvenate the player card content found inside Diamond Dynasty, The Show’s most popular mode. Most importantly, the patch addressed a chief compaint by avid online gamers. The PCI (plate coverage indicator), used when hitting to try and square up the pitch, was not reacting correctly as it had in previous editions of The Show. 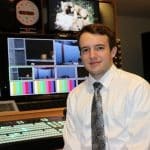 Many players proved that the PCI would move on its own for no apparent reason, causing a lot of frustrating popups and ground balls that, with an accurate PCI system, would be line drives or home runs. Additionally, players were upset with how slow the pitches looked coming in, especially compared to previous year’s games. Flamethrowers like Aroldis Chapman and Craig Kimbrel were essentially ineffective due to fastballs looking like frisbees coming in. It seems that the developers were listening to their consumers. Here are the official gameplay patch notes from TheShowNation and SDS. Adjustments made to the Plate Coverage Indicator. Increased pitch speeds within Diamond Dynasty (both Head to Head and Versus CPU games). Fix for a rare occurrence where the outfielder would not play a catch (or run over the ball) on firmly hit ground balls that get through the infield. Adjustments made to allow more user control for infielders on soft line drives just over their head. This allows users to break out and run for the ball, when they sometimes felt locked in. Fix for a rare issue where the catcher would come out of his cover position (covering home), not allowing branching throws to the plate when a runner is attempting to score. On top of the gameplay fixes, SDS put out new content for Diamond Dynasty. All-Star Legend Darin Erstad (90 overall) will be the May ranked seasons reward. He can be earned by climbing the leaderboard to World Series level (900 rank or higher) in ranked seasons. 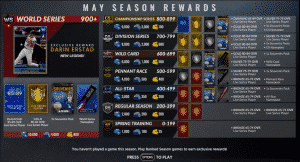 MLB The Show 18’s new and improved ranked seasons rewards for the month of May. 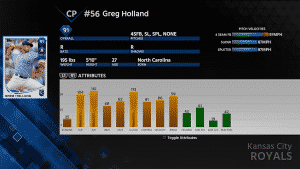 Two new flashbacks, Greg Holland and Ichiro Suzuki also are making their way into the game. Both of these cards can be earned by going 12-0 in battle royale. Of course, all of these cards will eventually be available for purchase on the market, but Erstad will not be available until June 1. What do you think of today’s MLB The Show 18 patch? Are you seeing improvements in gameplay? 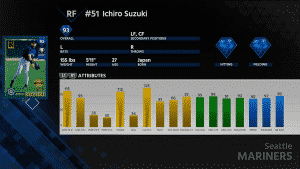 What do you think of the new players in Diamond Dynasty? Let us know in the comment section below, and don’t forget to subscribe to Sports Gamers Online. And be sure to hit the bell to be notified whenever we post a new video.